When an individual habitually takes drugs, their body and mind can develop a tolerance to those substances. This means that over time, the person needs to ingest more of the same substance to produce the same desired effect. Over a period of time, this creates dependence. This means that without the substance, the addict’s body and brain do not function the same way. For some people, this dependence is physical, and withdrawal symptoms affect the body. For others, the dependence is mental, and emotional and psychological symptoms appear when the individual stops taking drugs. Depending upon the substance they are ingesting, a patient can experience both physical and psychological withdrawal symptoms. Drugs are classified based upon the effects they have on the body, and different classes of drugs produce different highs and different withdrawal symptoms. Stimulant drugs produce euphoria and high energy. This class of drugs includes cocaine, methamphetamines, and prescription stimulants such as Adderall and Vyvanse. Depressants slow down the central nervous system. This includes substances like alcohol, marijuana,benzodiazepines such as Xanax and Valium, and barbiturates such as phenobarbital. Narcotic drugs include opioids, which work on opiate receptors in the brain, such as heroin, prescription morphine and oxycodone, and codeine. Psychedelics produce hallucinations. This class of drugs include LSD, psilocybin mushrooms, peyote, and DMT. Inhalants, such as nitrous oxide, are consumed by inhaling vapors through the mouth and nose, and produce varying effects on the user. All of these drugs affect users differently depending upon amount and frequency of use as well as individual physical and mental condition of the user. Therefore, detox is a highly individualized process. Fortunately, at Discovery Institute of New Jersey, our doctors are trained to monitor detox symptoms and to administer medications that prevent the most dangerous of these symptoms, and reduce the discomfort associated with all of them. Our medical professionals monitor patients constantly throughout their stay, checking vital signs such as temperature and heart rate, to ensure that patients are responding to the treatment and detoxing safely and as comfortably as possible. Detoxing at our treatment center is referred to as a medically supervised detox. During this time, our clients are monitored 24/7 by nurses, clients, and doctors to ensure that no medical emergencies occur, and if they do they are treated promptly. We administer non habit-forming medications throughout detox for patients who require it. Because we closely monitor our patients, we are able to safely and comfortably wean them off of these medications when the timing is clinically appropriate. In addition to medication, we provide regular assessments of clients’ physical health and vital signs as well as their mental and emotional states. We provide nutritious, regular meals and comfortable beds for patients so that they can begin to nourish themselves in a healthy way and get as much rest as they need during this process. Because many patients come to detox with outside physical and mental health concerns, our staff is trained to identify and treat these issues. Patients who successfully detox but who struggle with untreated illnesses unrelated to their drug dependence may struggle in a treatment environment, so we strive to address these issues effectively from the very beginning of our patients’ journeys. At Discovery Institute, we also understand that the detox process can be very emotional and mentally difficult for our clients. For this reason, we have a staff of compassionate, certified therapists on hand to counsel our clients from the very beginning of their detox. Patients are encouraged to utilize the advice and counsel of all of our staff members, from nurses and doctors to therapists and technicians. Treatment at Discovery is holistic in nature, and we strive to treat the mental and spiritual health of our clients along with their physical health. 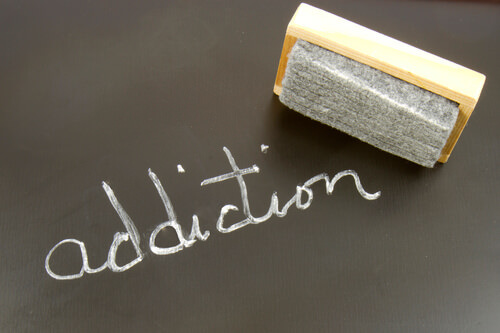 Drug detox varies based on the substance the person was addicted to. Symptoms can range from mild to severe, and no two patients will have identical experiences during detox. Therefore, all patients need a unique, individualized treatment plan for their detox. At Discovery, this is what we provide. From individual, detailed assessments to comprehensive treatment of mind, body, and spirit, we ensure that all of our clients are treated based upon their special needs and requirements. The detox process is a difficult, uncomfortable time for an addict. If detox is not done properly, there is a greater chance of relapse. In order to make a successful beginning in the recovery journey, addicts need a thorough, safe, comfortable detox that clears their mind and body of all harmful substances and prepares them to address the deeper, underlying factors in their substance use disorder. The best thing to do for detox is to have medical supervision and counseling support throughout the process. Not only do we provide the medical treatment necessary for detox, we provide emotional and mental health services throughout our patients’ stay at Discovery. At Discovery Institute we pride ourselves on ensuring that our clients will be as comfortable, safe, and supported as possible.